By now, you’ll have no doubt seen Batman V Superman: Dawn of Justice, so it’s hardly a spoiler to point out the fact that the movie ended with the shocking death of the Man of Steel at the hands of Doomsday. However, following the funeral of Clark Kent, there was one final tease which made it clear that this Godlike superhero may still have some life left in him. Obviously, it’s no secret that Henry Cavill will be reprising the role of Superman in Justice League next year, a fact which confirms that the character is still among the living. Of course, what we don’t know right now – and what could be considered a major spoiler if we did – is how exactly Kal-El is going to return. There are plenty of theories of course, but this is one mystery that we may have to wait until next November to learn more about. That being said, with Justice League currently shooting in England, a few details are starting to trickle out. 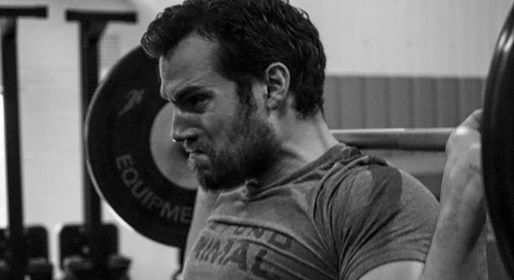 Today’s bit of news isn’t much, but a photo shared by Cavill during a recent workout seemingly indicates that Superman will be sporting a look similar to what you see in the photos in the gallery above. It may not seem like a big deal, but Justice League could feature the first big screen bearded Man of Steel. Another possibility of course is that Cavill simply hasn’t started filming his scenes yet, and if that’s the case, his character may not have a very big role in the movie. What significance, if any, this will end up having in the film itself obviously remains to be seen, but if this is the route that they’re choosing to go down for the character’s appearance in Justice League, we’d be all for it. In any case, check out the photos above and let us know if you’re digging this potential new look for Supes.